Sometimes people die before they’re able to tie up the important loose ends in their lives. Luckily, death might not always mean you’re out of chances to make things right again. The dialogue was a lot of fun to read. One of the things I enjoyed the most about it was all of the references it included to things that happened in the character’s lives when they were still alive. These passages included just enough detail to help readers who might not be as familiar with certain nobles understand what was happening, but they also contained references that made me smile when they were about members of the royal family that I happened to have more in-depth knowledge of. It was nice to have dialogue that balanced these two things so well. There were quite a few overlapping subplots. I had trouble keeping track of them all because of how many there were and how many different characters were involved in them to various degrees. Some characters were heavily involved in multiple subplots simultaneously. There simply wasn’t enough time to develop these storylines in a little over a hundred pages. It would have been really helpful to either have fewer conflicts going on or more time to see how the ghosts reacted to them. The mystery of where Richard III’s nephews went after their deaths kept me guessing until the end. I appreciated the fact that the characters spent so much time trying to find clues about where these boys might have gone. Ghosts are freed from certain restrictions placed on the living, but they’re also bound by other rules that people who are alive are not. While I can’t say any more about how this all worked without giving away spoilers, I liked how much thought Ms. Wilson put into how it should all play out logically speaking. 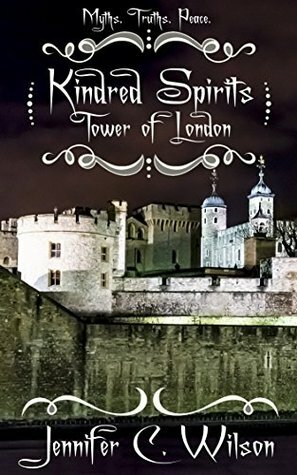 I’d recommend Kindred Spirits: Tower of London to anyone who enjoys paranormal mysteries.